Due to their 42 mm thick steel panels filled with dense polyurethane foam, these garage doors provide excellent thermal and acoustic insulation inside the garage. 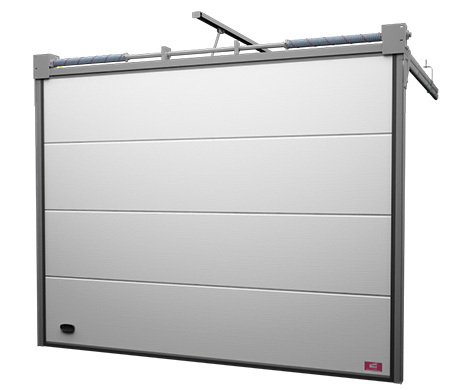 The garage doors are made of galvanised steel panels from Sicom Italy, allowing them to protect your car and goods for many years! In fact, we’re offering you a 5-year warranty for all our doors and dedicated service for all the time they’re in use. These garage doors are available in several faux wood finishes, as well as in a wide range of colours from the RAL palette.